In order details you can choose time when will arrive at your location, add personal wishes or comment for order, also you can see estimated price of your order and if you agree with order details confirm your order. You can watch for taxi approaching the place, the system will alert you when the machine is in place. 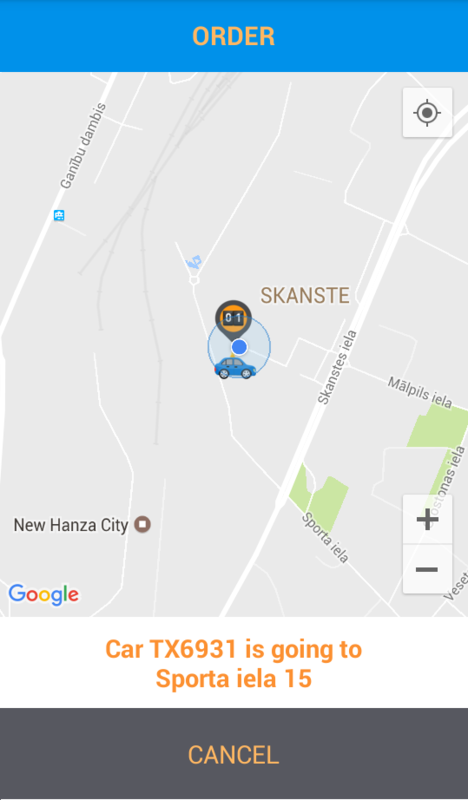 information about where to find objects that were left inadvertently in the taxi, etc. 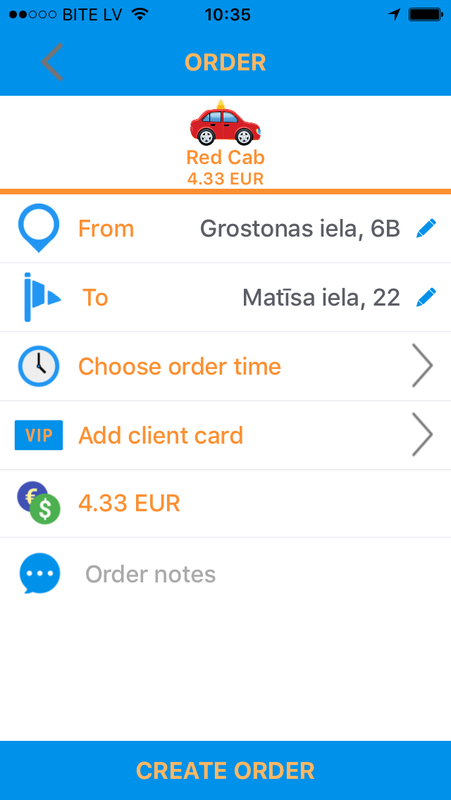 Developed by SIA "Click Taxi"
Bank: AS "Latvijas pasta banka"